by Corrie Marsh and Fenella France — Modern media formats are more at risk. The range of materials, the lack of training in preservation and education are just some of the reasons. by Fenella G. France — The authors enumerate how they are helping students to increase their reading and comprehension skills at their particular institutions. by Moryma Aydelott — In 2011, Library Services began a program to look at obsolete tangible media formats in LOC collections. Why Early Digital Assets Merit Special Attention by Chris Muller — This is a series of vignettes from data-rescue projects. by Christina Kovac and Jason Love — The collection at the National Archives and Records Administration has an estimated 700,000 reels of modern picture film and 850,000 audio and video recordings. 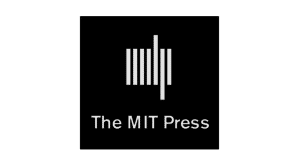 by Brianna M. Cassidy, Eric M. Breitung, Nathan C. Fuenffinger, Zhenyn Lu, Heather M. Heckman, Lydia C. Pappas, Gregory J. Wilsbacher, Michael L. Myrick and Stephen L. Morgan — Over 40 million magnetic tape recordings are held by institutions in the U.S.
by Hiroko Ito — Hiroko explains the advantages of using optical discs for archiving and how to get the most out of supporting guidelines. by Chris Lacinak — Tools and applications for the desktop and the Web. by Tim Knapp — Reed Boyce wanted to invent the scanner that could capture visions from the past for future generations. Second Thoughts on Net Neutrality: What We Have Lost in the FCC’s New Oversight of the Web by Steve McKinzie — Steve wonders if this is in our best interests. On First Looking into My InBox by Jim O’Donnell — I think I am going to send Jim more emails! Female Firsts by Donna Jacobs — Donna attended many Spoleto 2015 events and in the process discovered Selma Lagerlöf. Reviews of Reference Titles by Tom Gilson — Tom reviews the Encyclopedia of Food Issues, American Civil War: A State-by-State Encyclopedia, and many more. Monographic Musings by Regina Gong — In this issue, technology seems to be the underlying focus of the books reviewed. Online Allied Health Resources for the Classroom and the Clinic by Ann Hallyburton — Books we need to keep in our collections. by Bryan Dillon — Some books received for review by Against the Grain. by Andrew T. Alwine — A review of Pagans: The End of Traditional Religion and the Rise of Christianity by Jim O’Donnell. Copyright and Patent: Substantial Similarity by Bruce Strauch — Amini Innovation Corporation vs. Anthony California, Inc. and James Chang. Copyright Column by Laura N. Gasaway — Lolly answers many intriguing questions. When you write a letter to a member of the House of Representatives do you hold the copyright? How Publishers Provide Added Value Through Account Development by Sarah Schulman — This is about a successful collaboration. Diversity in Publishing by Leila W. Salisbury — Diversity within our staffs is key, says Leila, but as publishers we can and should also be looking for diversity in the ranks of our authors and the subjects in which we publish. Heads of Houses by Myer Kutz — Myer decided to surf the Web to see who is running some scholarly publishing houses these days. by Donald T. Hawkins — In this issue, Steve Oberg reports on NASIG at 30: Building the Digital Future, while Don reports on The New Big Picture: Connecting Diverse Perspectives – The 2015 SSP Meeting. Reports of Meetings — LéaLA 2015 by Wendy Pederson; SALALM 2015 by Wendy Pederson and Claire-Lise Benaud, and more reports from the 2014 Charleston Conference by Ramune Kubilius and her crack team of reporters. by Bruce Strauch — What do Twitter and shrimp ‘n grits have in common? Read about it here! LibGuides: Changing the Game for Technical Services Procedures & Policies by Kat Landry Mueller and Molly Thompson — This is about documenting workflows. PALMPrint: An International Collaboration to Preserve American Legal Materials in Print by Margaret K. Maes and Tracy L. Thompson — The idea to preserve began five years ago as two executive directors examined the transition in law libraries from primarily print information to heavily digital. The Dangers of eBook Plug & Play – Managing the Orbis Cascade Shared eBook Collection by James Bunnelle and Linda Di Biase — Four years into the Orbis Cascade eBook Project, they encountered new and different challenges like the content removal project. The Gift of Reading by Tom Leonhardt — Tom can’t imagine not being able to read. Moving Technical Services to an Off-site Space by Stacey Marien and Alayne Mundt — This is a great interview with Pauline Rodriguez-Atkins. Libraries, Librarians, and Disaster Management in the 21st Century by Emy Nelson Decker and Jennifer Townes — What is needed in many libraries and archives is a change in organizational structure surrounding the discussion of disasters and their impact. DC + SEUG by Mark Y. Herring — This one is about the digital commons southeastern users group which recently met at Winthrop. The Logical Extension of the Demand-Driven Purchase Model – Customization, Multi-Media and Ever-Improving Analytics by David Parker — A library that knows a good deal more than it does now about how its content is used will make even better decisions about how to trigger purchase in an improved future-state environment. The Digital Comic Museum by Jerry Spiller — Jerry wants to introduce us to a dangerously wonderful thing – DCM. “Self-Preservation and the Cloud” by Michael P. Pelikan — Michael says he can’t remember a Net-based concept that has achieved such a degree of pervasiveness as the Cloud. At the Only Edge that Means Anything/How We Understand What We Do by Dennis Brunning — Dennis does his usual survey of the evolving world around us. We are talking jargon (“rando”), software eating the world, as well as the once glorious era of the book. v27 #4 Magnetic Tapes, Playable or Not?